In-display fingerprint sensors have been the talk of the town, especially since the reveal of the Vivo X20 Plus UD — the first phone ever released with a fingerprint scanner under the display. 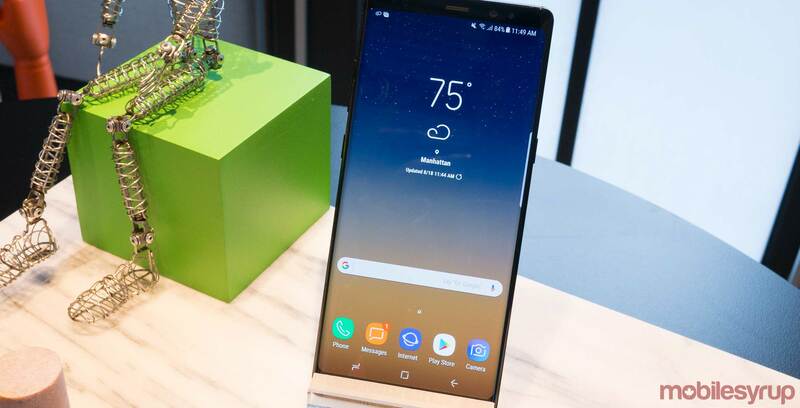 However, it looks like Samsung’s Galaxy Note 9 may be an upcoming smartphone with this new feature. According to another source, “there is enough time for the display company to improve the technology to meet the handset maker’s expectations before the launch of the Note 9 in late August.” The source went on to say that moving the fingerprint sensor to the front of the phone would allow for Samsung to put a larger battery into the device. Recent rumours point to Samsung foregoing the use of the in-display fingerprint scanner for the Note 9. The leak mentioned that Samsung had looked into all sorts of technologies that it could implement into the in-display fingerprint scanner. The company also enlisted the help of Synaptics, the manufacturer of the in-display fingerprint scanner for Vivo’s line of smartphones. The industry source for that rumour claimed that an in-display fingerprint scanner would only be possible next year, but this report casts doubt on that claim. Samsung will likely unveil the Galaxy Note 9 in late August, similar to last year’s Note 8.